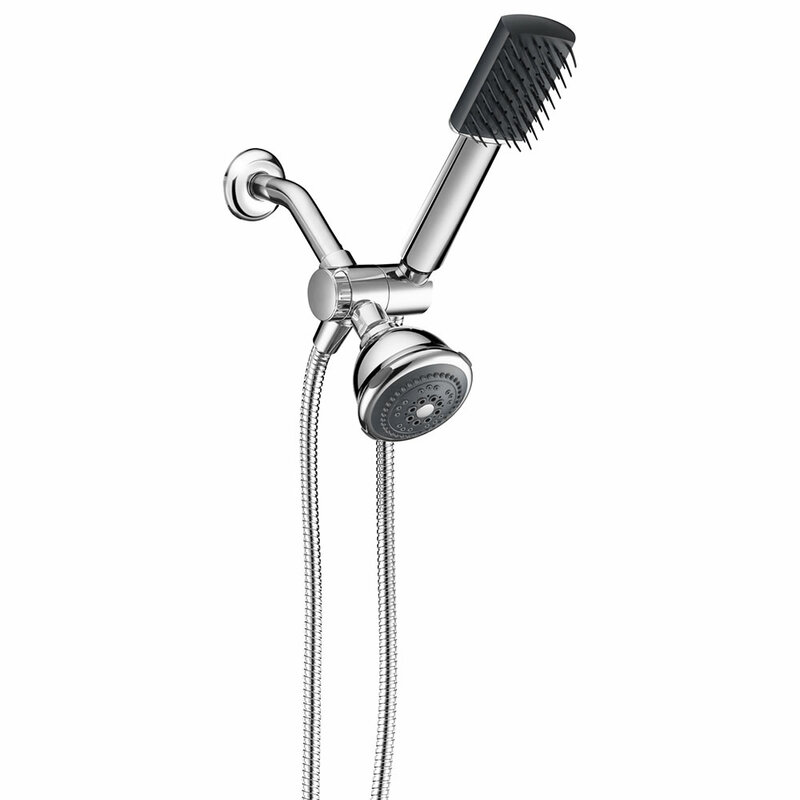 This is the first showerhead that detangles and rinses hair at the same time. Its 45 soft, massaging bristles glide easily through hair and its two-way diverter allows the brush to be used without water. The secure, leak-proof connection is connected to a 5' stainless steel hose. 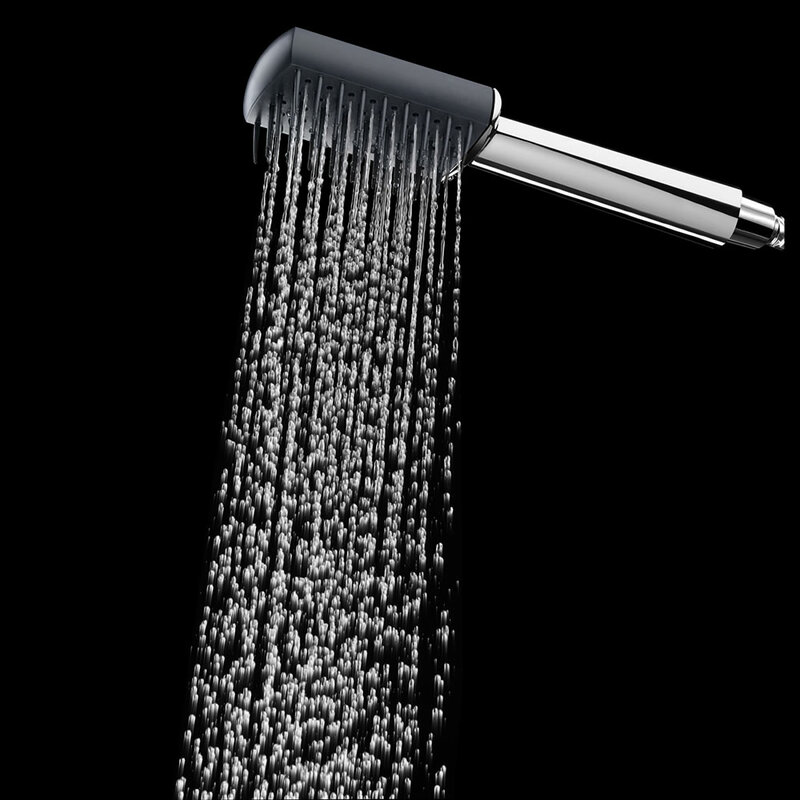 Rated for a water flow of 1.8 gallons per minute, the shower head can be set to one of five selections - fully body, aeration, pause, full body/jet massage, and pulsating massage. The included wall mount is WaterSense compliant. 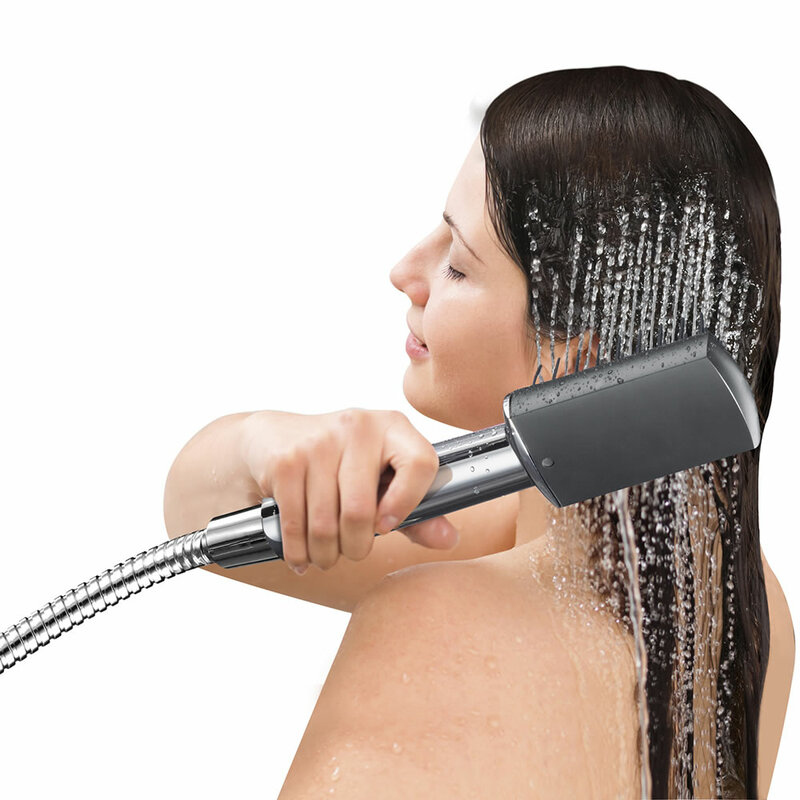 The Hydro Detangling Showerhead comes with The Hammacher Schlemmer Lifetime Guarantee. Items that we sell are guaranteed for their normal life under standard non-commercial use.